The Roof is the first line of defense against the elements. Roof Replacements can be very expensive. All too often roof leaks come out of nowhere and we are here to help. We are your Midwest Ohio Roofing Repair Specialist. Water Spots on the ceiling are are good sign of Roof Leakage. These Roofing Leaks usually tend to leave brown rings on the drwall. These leaks are sometimes a one time thing. 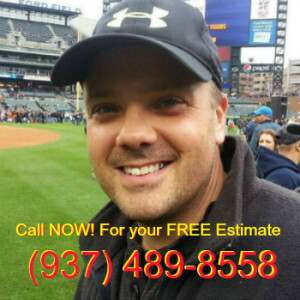 Immediate Roof Repairs, Emergency Roof Repairs or a New Roof. are now coming to the end of their lifespan. Over time singles lose granules and start to become thinner. and others from severe weather conditions. High winds cause shingles to lift and then tear off the roof. thus allowing rain water to pass through the shingle and into the house. is another reason for premature roof failure, causing Roof Leaks. A lack of Attic ventilation can cause sheeting to buckle, Shingles to curl, and nails to pop. which are air born spores that land on your roof. sunlight, and rain water to survive. pushing granules off the shingle and into the gutters. This is very noticeable from the ground, showing as Black Streaks on your Roof . You will find tons of granules in the Gutters and Down Spouts. and are the cause of many Leaking Roofs. and Sidewall Flashing (step flashing) are also known to be high leak areas. 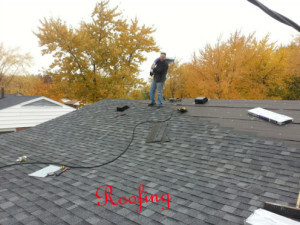 We pay very close attentions the these critical parts of the roof insuring each roof is leak free. Including a FIVE YEAR (5yr) Roofing Craftsmanship Warranty on Roofing Replacements for our customers. limited lifetime with additional 15-20 year Non-Prorated Warranties. These harsh conditions take its toll on a Roof. We are your Best Midwest Ohio Roof Repair Specialist.